Let us guide you through the wonderful world of premier quality kitchen cabinets, latest cabinet door trends, and stylish color palettes! Improve the functionality and aesthetic of your kitchen, and enjoy its new, timeless look for many years to come. Architects, designers, homeowners, and contractors from Manhattan, Brooklyn, and Queens love our all-wood cabinets & our service. We offer complete design services at no additional cost and open at 7 am for the contractors’ convenience. We offer a superior selection of always new and latest porcelain & ceramic tile designs. As an exclusive distributor, Home Art Tile Kitchen & Bath is the only authorized seller of the world’s foremost tile companies around tri-state areas. 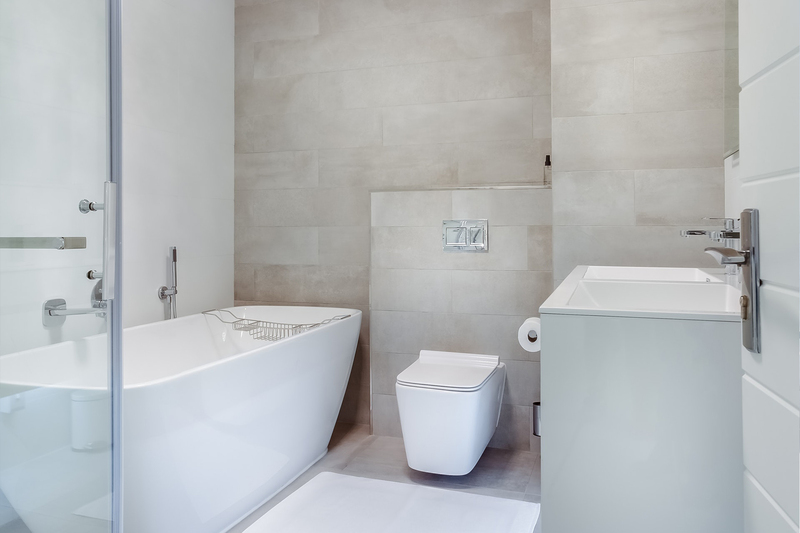 We established an enviable reputation for the supply of ceramic and porcelain tiles, mosaics, and stone to prestigious residential and commercial NY design projects. Select our beautiful tiles for your Queens, Manhattan, Bronx, Brooklyn or Long Island home. View our first-class bathroom vanity cabinets selection and strike the perfect balance of value, style, and quality for your bathroom remodel project. 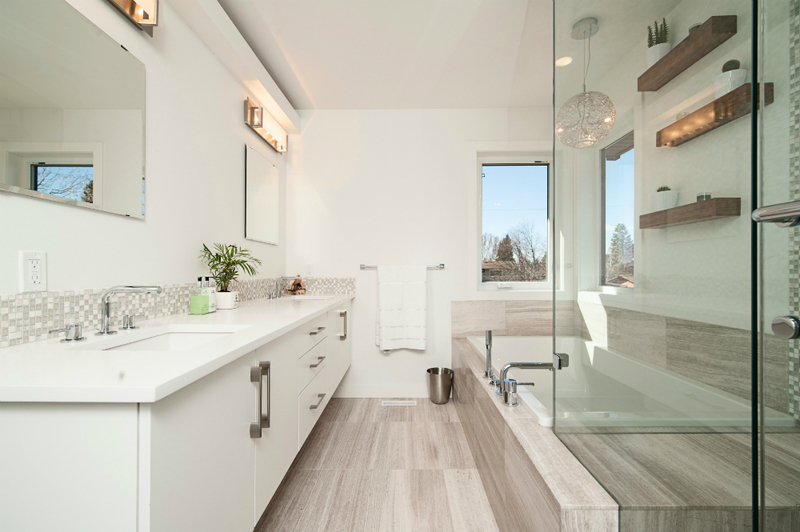 Our expert designers can help you take the next step towards your new, improved, spa-like bathroom. Get enough storage space and the look you desire. Bathrooms have never been more stylish than now! Whether you want a classic, traditional design or contemporary, minimalist vanity look, we have it. Stop by today! Why Choose Home Art Tile Kitchen & Bath? We provide state-of-the-art kitchen and bath fixtures from the most reliable manufacturers and brands. The goal is added functionality and beauty for your home, and that is exactly what we offer. Our designers will learn your style and preferences, and share their in-depth knowledge and expertise. You’ll benefit greatly from our friendly and personalized, professional and hands-on service. We take away the stress and uncertainty out of your kitchen and bathroom remodel process with top-class products at rock-bottom prices. Stop by to check for yourself. Besides our undivided attention, you will also get a complimentary 3D design service. Regardless of your style, needs, and budget, now you can plan a kitchen or bathroom from your dreams. We make your life easier by providing everything you need for your kitchen and bath remodel project in one place. Our spacious showroom offers everything, from kitchen cabinets to contractor tools. When you find perfect cabinets, vanity, countertops, and tiles, it’s time for installation. We will be happy to recommend a reliable, highly experienced, insured, and fully licensed local contractor. Visit our state-of-the-art kitchen & bath showroom in Queens NY to explore various types of kitchen cabinets, countertops, vanities, tiles, and other fixtures. Learn what fits best your taste, needs, and budget, or find exactly what you’re looking for. Speak to a designer to get started 718-433-0060 or fill out the contact form. Come in for a consultation, discuss your plans & get Free 3D Design of your dream kitchen or bath. We will help you with measurements and show you how your room will actually look like in real space. Get an accurate quote for your kitchen or bath, combine, mix & match because your options are unlimited. A fantastic selection of kitchen & bath products is at your fingertips, here at Home Art Tile. We make your life easier by providing unique experience of one-stop shopping for everything you may need for your remodel project. Browse through our superior cabinetry, vanities, tiles, countertops, and other selections. We make all come together! Based on the completed 3D design, we will order cabinets, vanities, countertops, and other products you need to complete your remodel. We can also recommend an insured and fully licensed, reliable local contractor that will install and complete your dream kitchen or bath. Ready to schedule appointment? Contact us today and get started on making your vision a beautiful reality! White shaker cabinets are the epitome of classic taste in the kitchen design. The ideals of practicality and simplicity are embodied in white shaker kitchen cabinetry style. These ideals reflect greatly in the characteristic and distinctive look of white shaker cabinet design. 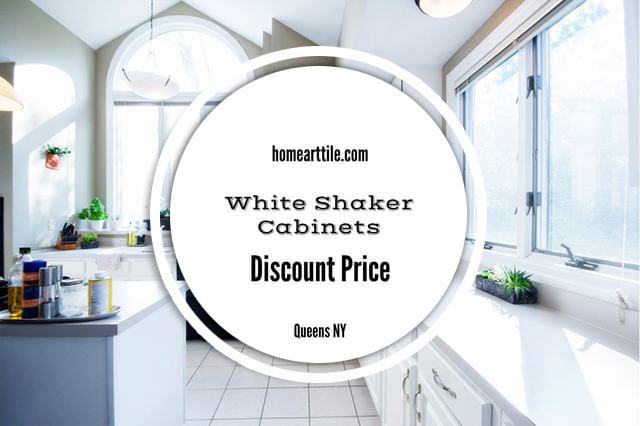 White shaker cabinets are definitely the best selling cabinetry in our Queens-based kitchen cabinet outlet store. High quality, all wood cabinets with shiny white or off white finishes and classic, shaker styling, will make any kitchen shine. 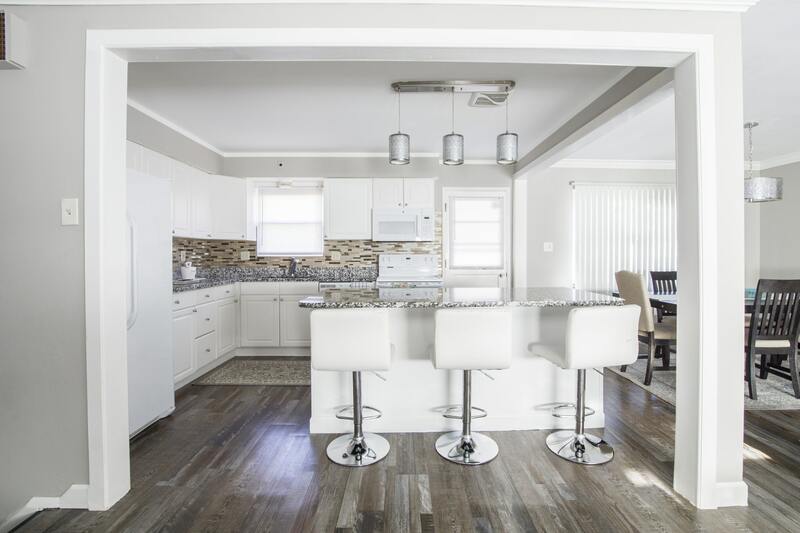 Whether your kitchen is big or small, white shaker cabinets will give it sophistication it deserves with just enough decorating options you will want to add. Browse through our kitchen design ideas featuring white shaker cabinets and get inspired.